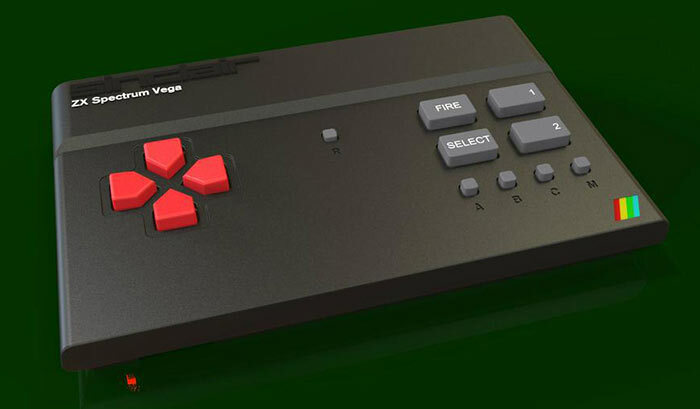 People can now buy the Sinclair ZX Spectrum Vega games console. We first heard about this console back in December last year. It was announced as a crowdfunding project launched and backed by Sir Clive Sinclair which collected £155,000 from backers. The device comes 32 years after the original Sinclair Spectrum was launched and is bundled with 1,000 classic games for your retro-gaming nostalgic pleasure. The Sinclair ZX Spectrum Vega was designed by Chris Smith, Technical Director at Retro Computers, makers of the new retro gaming device. As mentioned in the headline, the machines are now available to order on the Retro Computers website. Purchasers will have to wait for the machines to be dispatched however. According to a press release we received today the first 1,000 units will be shipped to customers at the end of May. Looking at the IndieGogo project page this production run has already sold out in entirety. A production run of 3,000 will be made available in July then, as long as orders keep up, 10,000 will be produced in August or September. The consoles are being manufactured by SMS Electronics Ltd in Beeston, Nottinghamshire. Chris Smith said that since the project announcement, the Vega has already benefitted from suggestions and feedback made by fans. "We are especially grateful to those Spectrum fans who have made suggestions as to additional features they would like to see in the Vega, and we have taken all those suggestions seriously, we have discussed them, and we have decided to implement two of them in the first release of the Vega," noted Smith. As you can see in the video above, and picture at the top of this page, the improvements include a bevy of new rubber keys. Not so obvious is the new hardware expansion interface on the circuit board and the implementation of software upgradeability. For every one of the first 4,000 Sinclair ZX Spectrum Vega games console sold the company will donate £5 to Great Ormond Street Hospital Children's Charity. Following that initial raft of devices 10 per cent of net revenue from all sales will be donated.